Thank you for visiting our website. We hope you find all the information you are seeking. 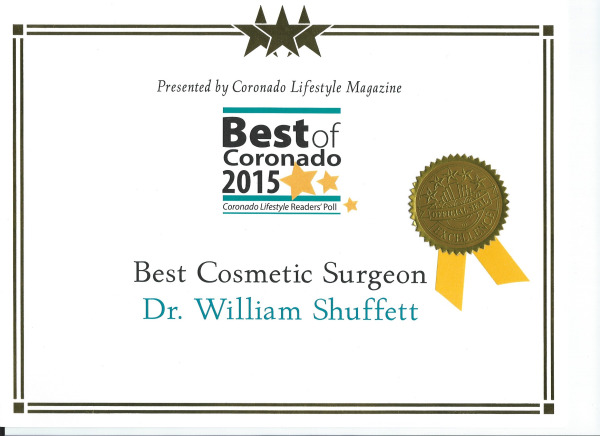 The Coronado Plastic Surgery Center is located on beautiful Coronado Island, across the San Diego/Coronado Bay Bridge, approximately two miles from downtown San Diego. We are just a few blocks from the legendary beachfront Hotel Del Coronado, vacation destination of several Presidents and site of classic Hollywood movies. Coronado Island is a wonderful, relaxing environment in which to recover from your surgical procedure. My staff and I are 100% dedicated to providing the highest quality surgical and post-operative care and will make every effort to ensure that your entire experience is as positive as possible. 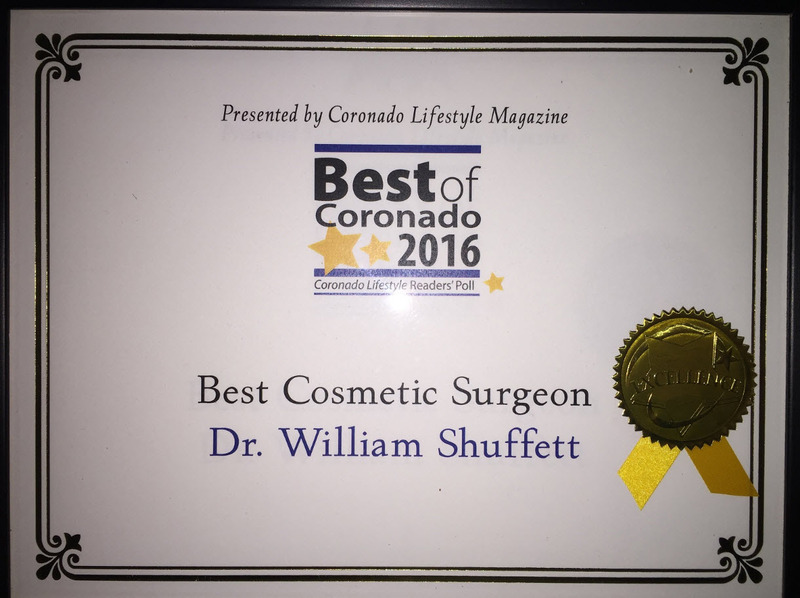 We are pleased to announce that Dr. William Shuffett has been selected as the Best Cosmetic Surgeon in the 2013, 2014, and 2015 Coronado Lifestyles Magazine's readers poll. 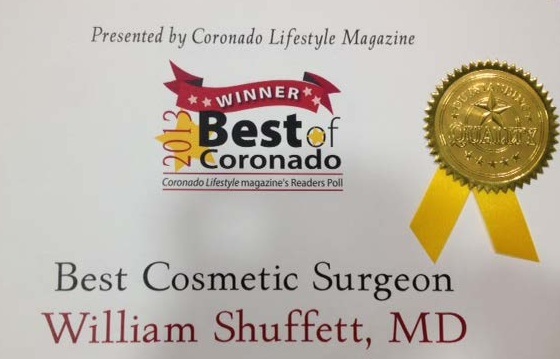 Coronado, California Plastic Surgeon, Dr. William Shuffett is a medical professional dedicated to plastic surgery such as breast lift, augmentation & reduction, liposuction, botox treatments, tummy tuck & more.